Note: Candidates seeking admission for Medical/Dental courses will have to qualify NEET 2019 and satisfy the eligibility norms prescribed by MCI/DCI, besides eligibility in English viz. 50% securing for Gen Merit candidates & 40% for SC/ST/OBC candidates of Karnataka. 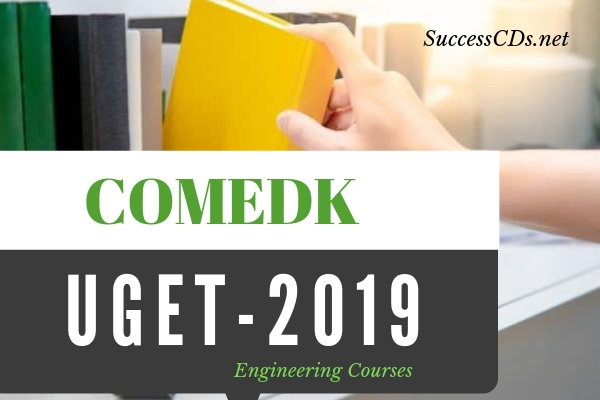 Entrance Test COMEDK UGET-2019 is mandatory for all candidates seeking admission to BE/BTech/BArch courses in Member Institutions of COMEDK. A merit/rank list is generated based on the entrance test.